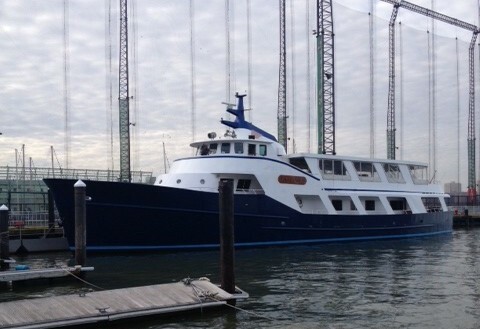 Metro Yacht Charters’ Affinity was built as a private yacht in 1967 for the owner of a southern shipyard and the family enjoyed years of cruising in the Gulf of Mexico. 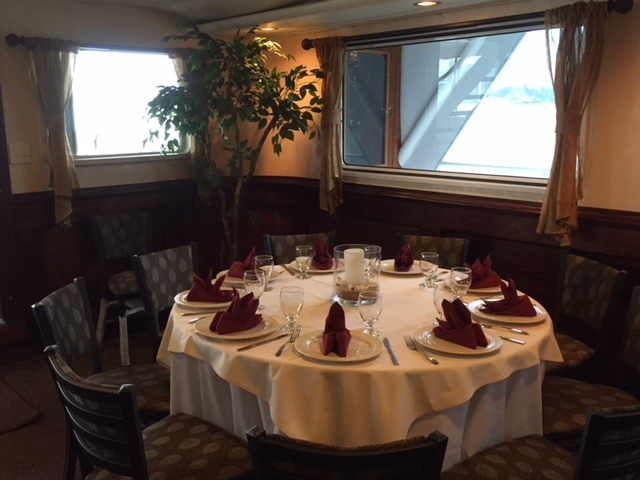 She is a classic steel hulled yacht with two decks, featuring wonderful amenities and is the perfect choice for a casual NYC harbor cruise. 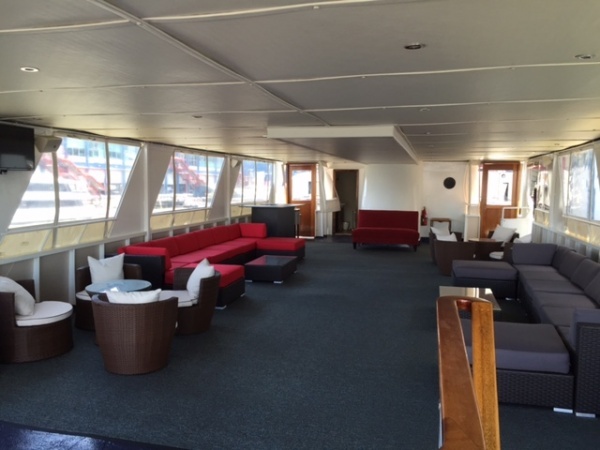 There is plenty of open air space on both decks and the Eisenglass Yacht Window System can be unzipped on the Upper Deck! 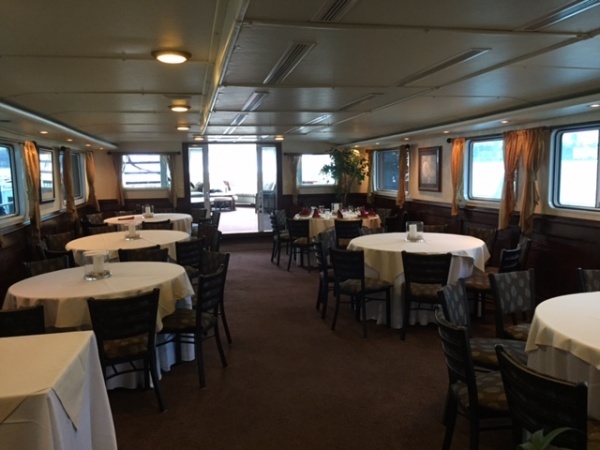 Guest boarding takes place on either the Main Deck or Upper Deck, where trays of Wine and Water are offered by the uniformed staff. 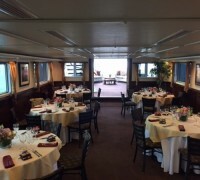 The Cocktail Hour portion features hand crafted hors d’oeuvres offered butler style, followed by the Buffet Dinner, with formal seating on the Main Deck. 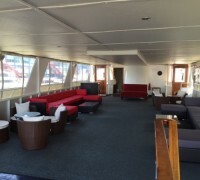 The Salon, situated on the Second Deck, has Hamptons Style outdoor furnishings for a wonderful conversational setting. 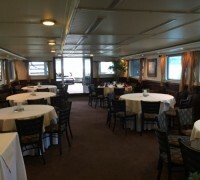 Heads are available on both decks. 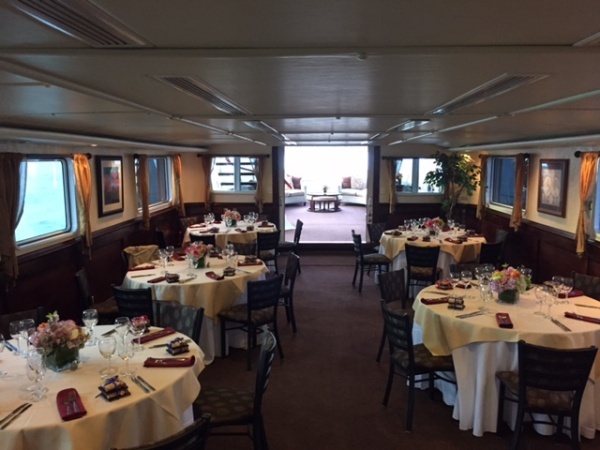 The culinary team is headed by Executive Chef Luc Riopel, with all selections freshly prepared and cooked aboard. 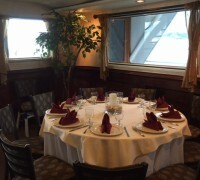 The staff is very welcoming and attentive throughout the charter.